“Elroy Forde lived near here in Dundas. The Home Station building in Kingston is named after him.” The stories of prominent signallers was shared with 20 new officers in The Officer’s Mess of 32 Signals Regiment on Saturday 23rdMarch 2019. Our Signals history and Heritage was delivered by serving officers and the Vintage Signals Team. A replica Canadian Corps of Signals flag and a 1903 Heliograph were front and centre as new members became familiar with the previous members such as Elroy Forde and Francis Malloch. Presentations on Mess Customs and Traditions eased into tales of heroes; the Home Station and Vintage Signals. On cue the sun poured into the Mess and the Heliograph was able to demonstrate some of its awesome power. 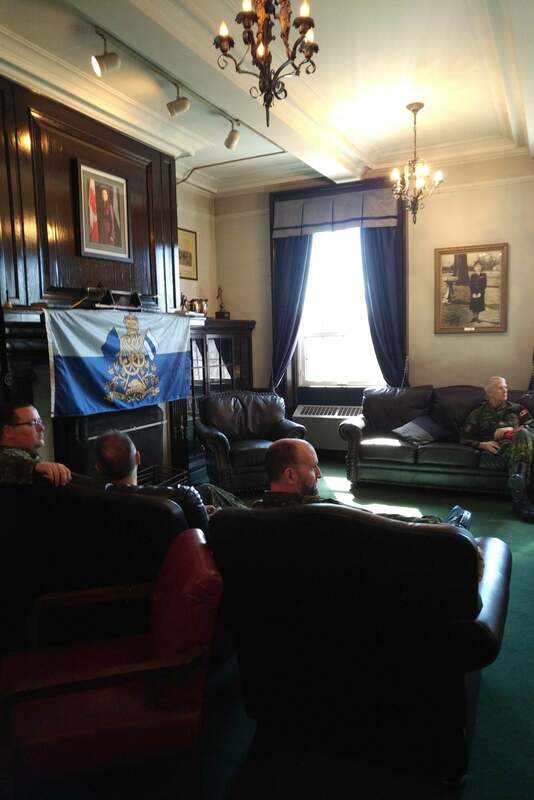 Capt Briggs, Capt Carter, Capt Deeb and the RSM, CWO Graham provided overviews from Brigade and Regimental organizations and relationships between the ranks. The CO, LCol Lai rounded the day with an inclusive conversation on Leadership with some pearls of wisdom from General Slim. 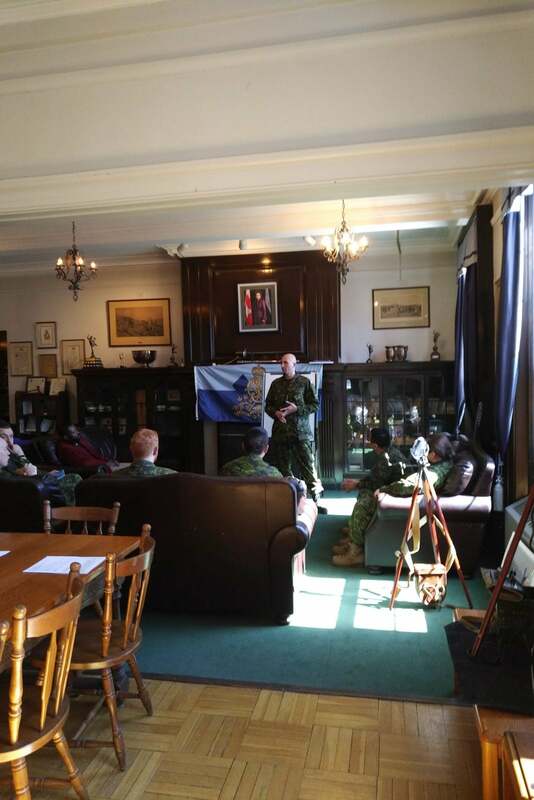 A wonderful day arranged by Capt Wesley-James and a pleasure to meet so many enthusiastic new members. 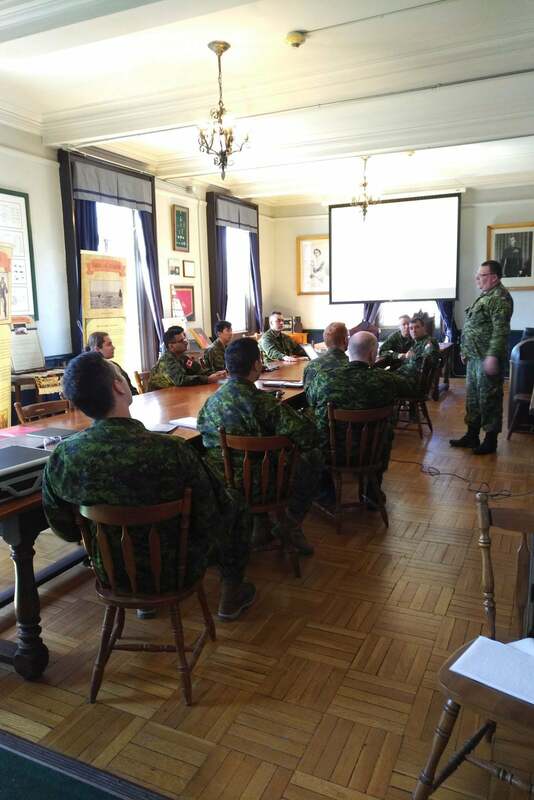 It was a pleasure to have a sufficient Cadre of new Officers to have a full training day dedicated to the history and culture of the RCCS ; 32 Brigade Units; the Regimental structure; Officer/NCM relationships; an interactive Visual Signals display as well as Mess Culture, traditions and etiquette. The CO’s intent was to familiarize the new OCdts into the officer and Signals culture as well as reinforcing our culture and traditions with junior officers. A very successful day, well done to everyone.